Documents filed Monday in U.S. District Court in California and viewed by NPR late Tuesday contain interviews with some 200 individuals detained under the Trump administration's zero tolerance policy, many of whom related poor conditions at the centers. 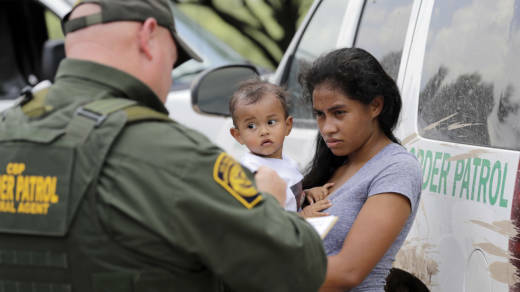 "[T]he worst thing was the water," said Delmis V. of Honduras, the mother of a 2-year-old boy. "I had to plug my nose to be able to drink it. It came out of the faucet and smelled terrible." Mayra S., the mother of children ages 2 and 9, said she "begged for water" for her daughter but was refused. "My daughter started crying. The officers told me to shut up." At the El Centro CBP facility, in one room with three mattresses,"[Eighteen] women are in this room. Three are teenagers/minors," a 15-year-old identified as Anet M. said. "We have 15 sheets of nylon. We asked for more mattresses but the officers said no. Some of us slept on the benches," she said, adding that it was "very cold."